UFO SIGHTINGS DAILY: UFOs and anomalies in the solar space in the review of the June 29, 2016 Video, UFO Sighting News. UFOs and anomalies in the solar space in the review of the June 29, 2016 Video, UFO Sighting News. Here are some great discoveries near the sun in NASA/SOHO photos taken by a deep space satellite. UFOs are seen on a daily basis in SOHO images and are really amazing in detail and size. 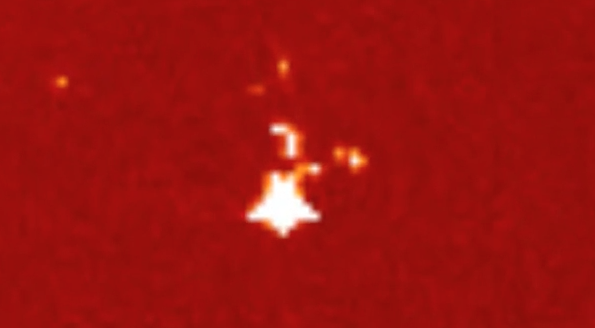 The video below has over 50 UFOs near our sun just yesterday. Makes you wonder how the US gov hides it so well. They don't the release the images and video, but those who see it often don't believe their own eyes.